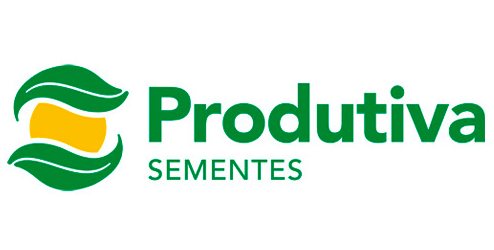 With four seed processing units, our Seed Productive partner is considered one of the largest soybean producers in Brazil. Currently its production areas have been expanded to 23 thousand hectares, with a staff of 350 people. 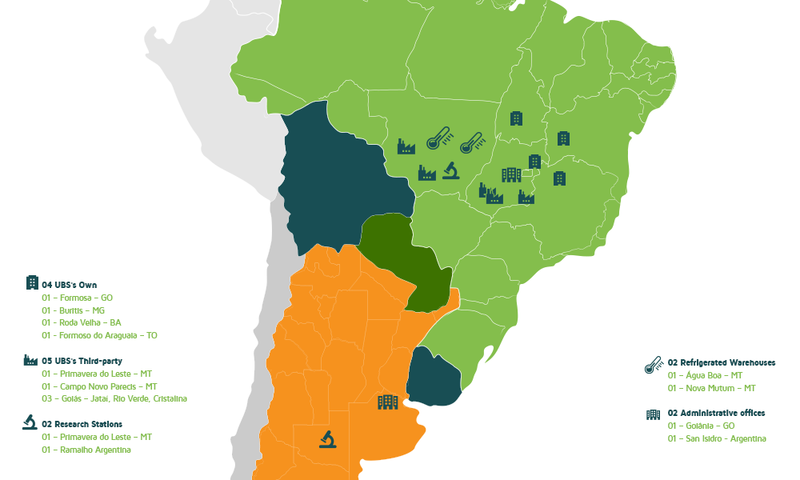 Among the beneficiation units, two of them are located in a radius of 85 km, in the region of Goiás, Federal District and Minas Gerais, one is in Tocantins and another in Bahia totaling a capacity for 1,400,000 bags. The structure also includes our own laboratories for quality analysis of the products, as well as a refrigerated warehouse, which guarantees production in summer and winter and an excellent industrial treatment for seeds, with the highest best technology in the market. In order to meet production demand, we also have five outsourced seed processing units, totaling 76,000 hectares of production area with capacity to produce 900,000 bags. Among the five, three are located in Mato Grosso, in the regions of Primavera do Leste, Campo Novo do Parecis and BR 163, and two in the state of Goiás, one in the southwest and the other in the east of this state. SeedLog was built to provide farmer security, quality and logistics agility for soybeans and corn. Its units are located strategically close to the largest agricultural centers in Brazil. The proximity of rural properties and storage in a refrigerated environment of 10ºC to 12ºC make it possible to dispatch soy and corn seeds through the "just in time" model, that is, the farmer does not have to take all his seed at one time, but can get more seeds as they are needed. With consistent investments in genetic improvement, SEEDCORP | HO has two research stations - one in Brazil and another in Argentina. Area of ​​30 ha for an experimental field. Located 32km from the city and next to the Primavera farm of the Otelhar Group, it is used for the summer test and winter increase, allowing SEEDCORP | HO to accelerate the cycles and the continue improvement. Area of ​​25 ha for an experimental field. Located 62km from Pergamino, near Ramallo. In this location we conduct the trials of the F1 and F2 breeding part, progeny lines and comparative performance tests. With two well-centralized business units, Seedcorp l HO is headquartered in Brazil and Argentina, both of which total more than 50 employees who operate throughout the business chair. In Brazil, our unit is located in the city of Goiânia, state of Goiás, a central territory of the country. In Argentina, it the office is located in the city of San Isidro, a province of Buenos Aires, located in the metropolitan area of ​​Buenos Aires.